50 Cent speaks on his relationship with his fellow G-Unit members, says he’s tired of serving as their manager. Weeks after appearing on Power 106′s Big Boy’s Neighborhood, rapper 50 Cent returned to the show to give an update on his relationship with fellow G-Unit member Lloyd Banks. 50 Cent previously revealed that he hadn’t talked to the rapper in months and now it appears that Fifty is fed up with Banks’ recent actions or lack thereof. 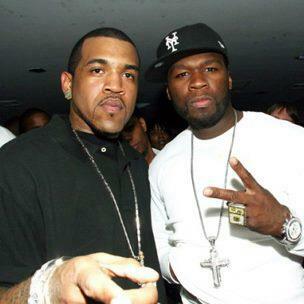 Although 50 Cent explained that G-Unit as we know it isn’t over, he did reveal that Lloyd Banks and Tony Yayo have a lot of stepping up to do.